Haven't been posting much.. the busy-ness of my daily working life as well as the current moonson / rainy season here in Kuala Terengganu. Phew.. just a few days of rain had resulted in some floodings. Even some of my friends offices and home here had been flooded. It was sunny over the weekends, but seems rain is here again starting today. Hoping for the best it won't worsen. Anyway, had reset a few of my shop setting. 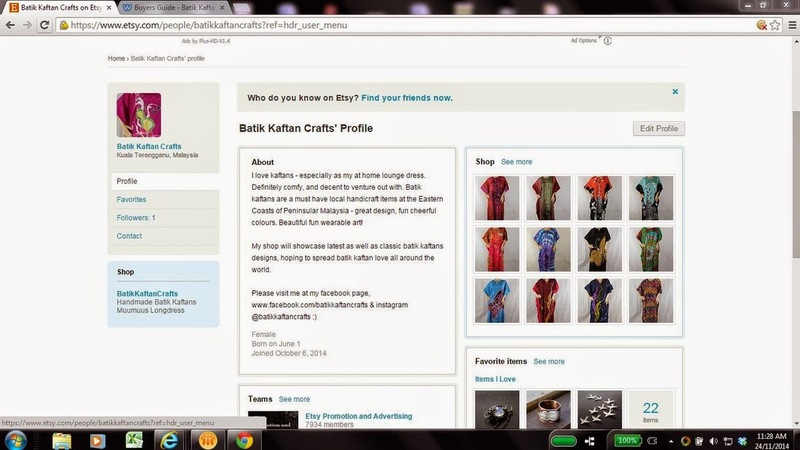 I had return the pricing to Ringgit Malaysia (MYR) due to many queries are within Malaysia, of which batik kaftans need no introductions. Malaysian will enjoy free postage but overseas buyers will be charged for postage and registered mail. It actually doesn't differ much from earlier pricing but might be a bit of a hassle and more complex than the earlier system.